The DCMS30 Deposition System is designed to coat the edges of razor blades with coatings of a variety of single or combination of materials depending on the target materials installed. The system is designed to handle batches of 90,000 double edged (DE) blades (or 180,000 Single Edge (SE)) with a total process time of <30 minutes air to air. 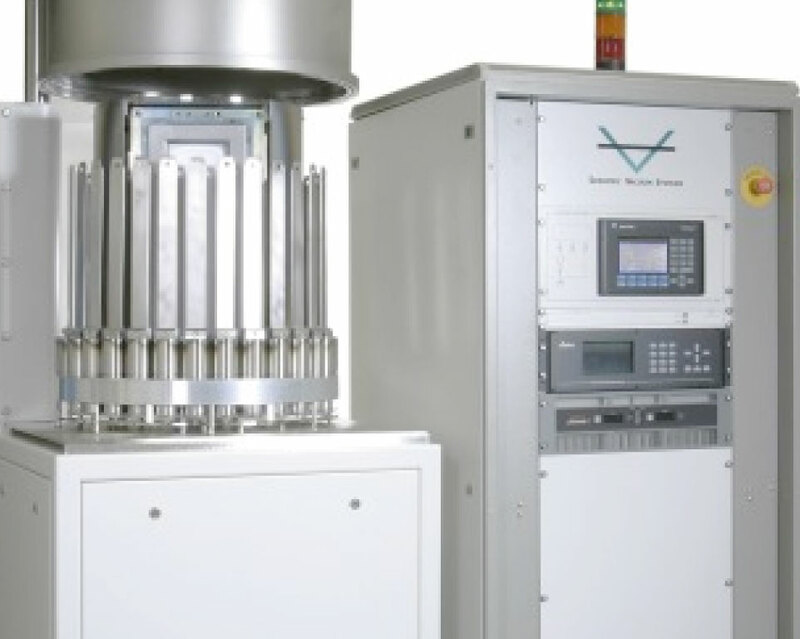 The system can readily be adapted to deposit a variety of materials including Chromium, Tungsten, Titanium and other refractory metals and their nitrides. The system is designed to be robust, reliable and easy to operate using semi-skilled operators. This system also has the added facility of an etch/clean of the blades prior to deposition to remove oxides and water vapour from the surface of blade edges. Target material can be thicker giving longer target life - up to 1 year between target changes. Techniques allowing you to keep pace with evolving technology changes. 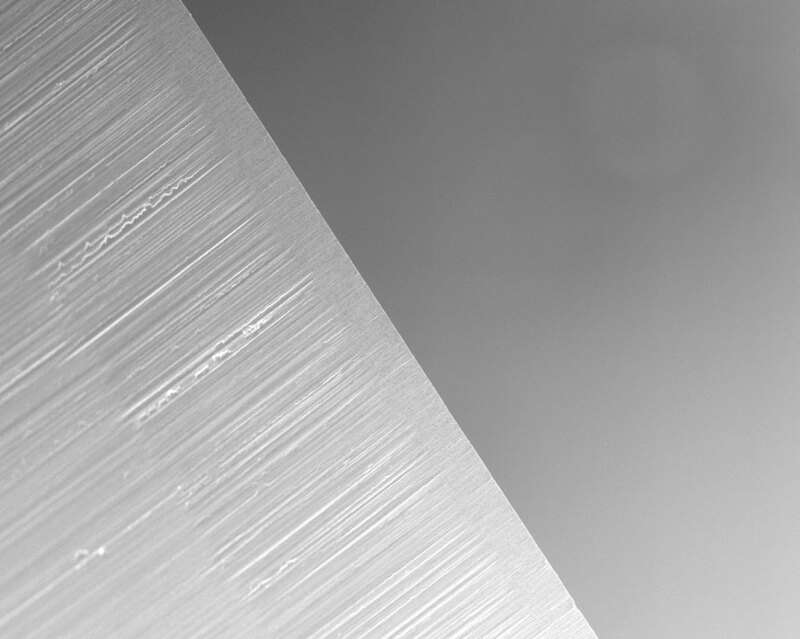 Enhanced etch/cleaning process using Ar and DC pulse for blade edge preparation improves adhesion of coating. 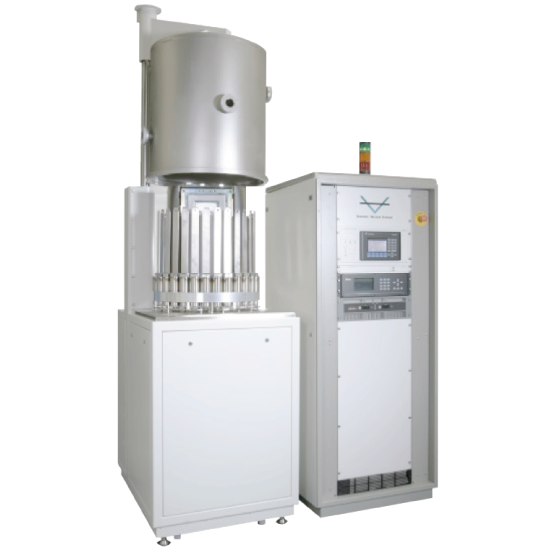 A variety of target materials can be sputtered using pulsed DC magnetron sputtering. With Chrome/Platinum targets the composition of the coating will remain constant. Superior uniformity of coating over the whole blade stack. The system is pumped using a 1500 l/sec cryo-pump backed by a 210m³/hr roots /rotary pump combination for fast roughing and high vacuum pumping speeds. The cryo has a hot gas Nitrogen purge for fast regeneration cycles to minimise maintenance downtimes. The substrate table holds 30 rotatable biased bayonets, each bayonet will hold up to 3,000 double edge blades or 6,000 SE blades (0.1mm thick blades) giving a total capacity of 90,000 DE or 180,000 SE blades per run. 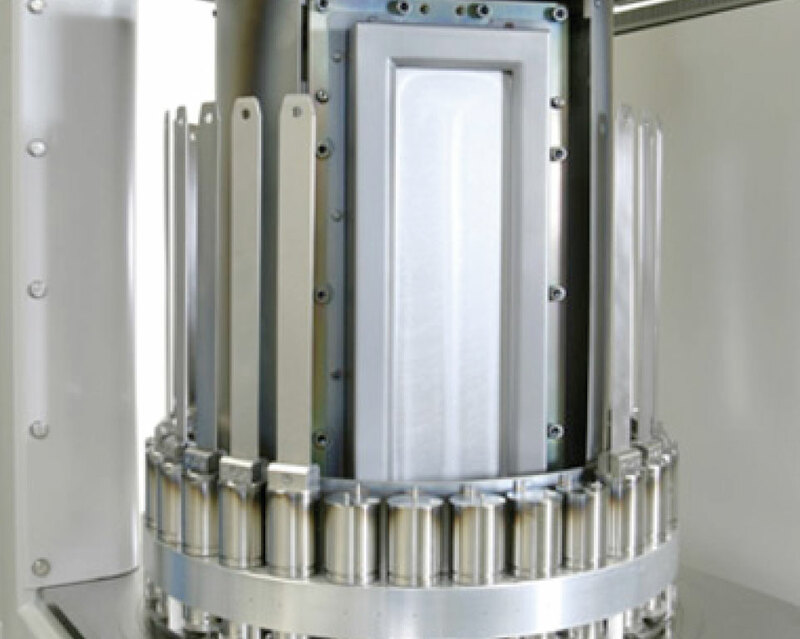 The system employs 2 rectangular unbalanced magnetron cathodes mounted on a central rotary services housing for sequential sputtering operations. 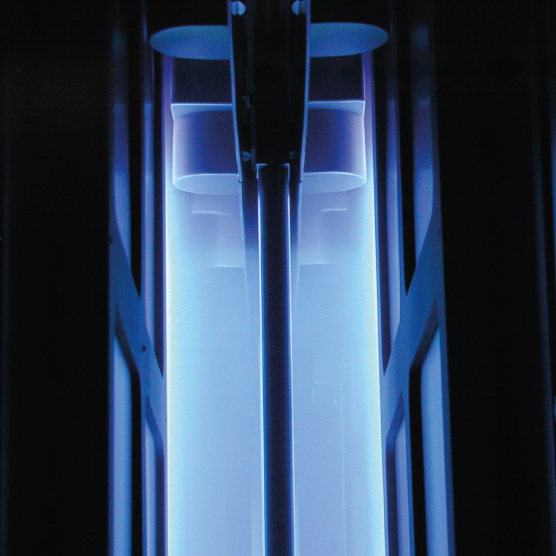 The cathode target assembly will rotate 360 degrees whilst sputtering to coat all the blade stacks uniformly, providing 15% uniformity over the whole blade stack. The magnetrons have clamp-on targets allowing the sputter targets to be changed within 30 minutes without breaking vacuum seals. DCMS30 Razor Blade Deposition System designed to coat the edges of razor blades with coatings of a variety of single or combination of materials. A view showing the Magnetron target assembly.